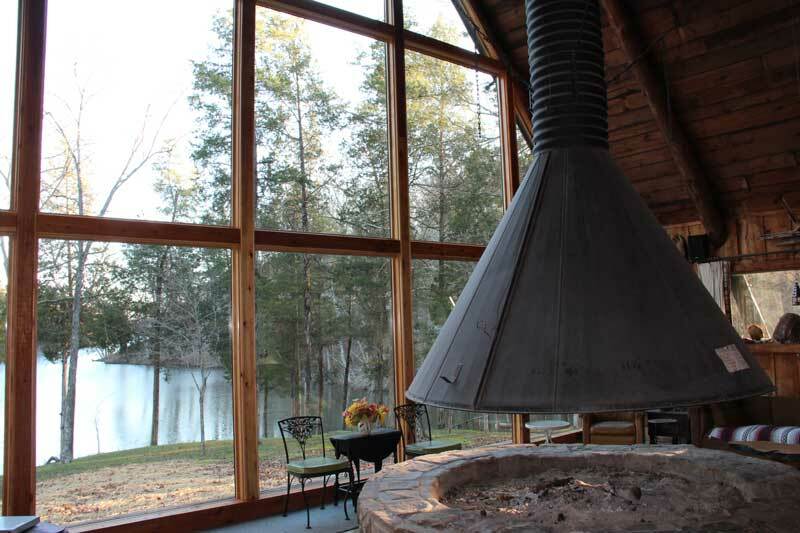 Located on more than 2500 acres and nestled between Bernheim Forest and Knobs State Forest, this idyllic cabin has been a family playground for its owners for several decades. Teeming with wildlife, you’re likely to see deer, eagles, owls, beavers, coyotes, geese and hundreds of other animal species just outside the front door. And the flora is beautiful, especially during the changing seasons. With such rich spectacles combined with a lakefront view, the cabin features a full wall of windows to enjoy nature’s showcase. As the cabin aged, the wall of windows suffered from decay resulting from the challenges of maintaining the hundreds of lineal feet of wood grids that framed the 90+ individual panes of glass in the wall of windows. Don Erickson, The Door Store and Windows’ new construction/remodel window expert, and Ellery Esposito of Esposito Construction worked together to redesign the glass sizes and layout based on Ellery’s framework design of the window wall. Their goal was to improve the structural integrity and open the view from the interior. 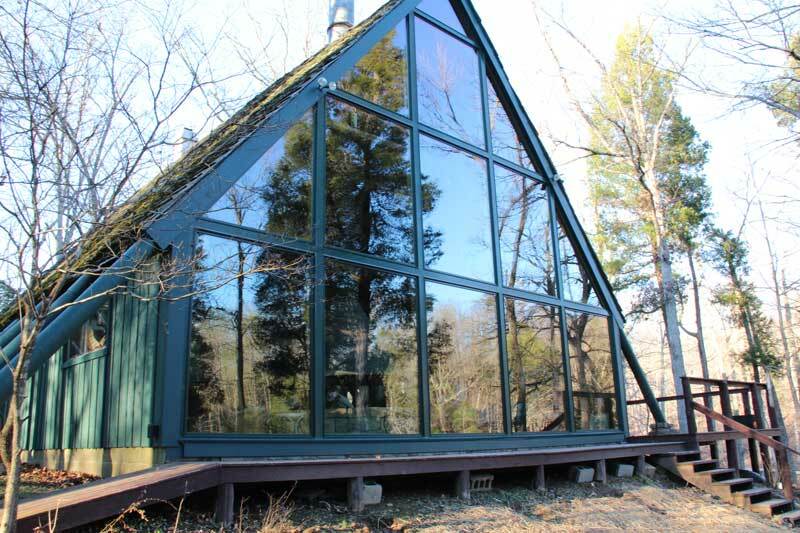 Ellery and his crew removed the entire wall of windows and installed a new steel structural frame to handle the weight of the new, larger glass windows. This talented team of craftsmen worked with precision to align and square the steel frame to fit within the existing rough hewn tree trunks that comprised the main structure of the cabin. A combination of 14 rectangle and triangle window panels – each tempered and insulated with low-E II coating – was custom manufactured by Marvin for an exact fit. Each panel featured an aluminum clad exterior to virtually eliminate maintenance. The exterior of the steel support frame was covered with Marvin’s matching aluminum cladding and caulked to seal and protect the framework. Inside, the framework structure was covered with solid cedar wood and stained with tinted polyurethane to complement the aged interior of the cabin. The result is a breath-taking full view display of nature from virtually any spot in the cabin. According to Ellery, the owners are “tickled” with the results of the renovation and he has heard nothing but wonderful comments from them about the new view. Ellery complimented Don and Craig Rowe, installation manager at The Door Store and Windows, on their attention to detail and valuable contributions to the success of the project.